Come 2015,General election will take place in Nigeria. 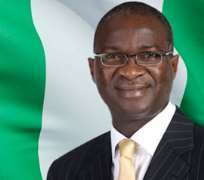 Here in Lagos state,concern institution,christian bodies and individual had been clamoring for a christian Governor that will succeed Governor Babatunde Raji Fashola (SAN),whose tenure will terminate come 2015. My main consideration for supporting this campaign is hold on the fact that influence of Muslims in the state is becoming on bearable. My experience on the street has shown that our christian brothers and sisters have become more aware politically and they are now demanding for their right. Starting from 1999 till this present administration that gave out the three senatorial seat to Muslim brothers. A Yoruba adage says "Enikan ki hin je ki ilu fe".why would any party leaders reason that there may be an act of terrorism if such agitation is realize. I can't deny the fact that Governor Babatunde Fashola has done very well. But there is love in sharing. Christianity also have men and women that are suitable for the position. Come 2015, let there be no negotiation as christian become the next Governor. Disclaimer: "The views/contents expressed in this article are the sole responsibility of Oluwaseun Sahid and do not necessarily reflect those of The Nigerian Voice. The Nigerian Voice will not be responsible or liable for any inaccurate or incorrect statements contained in this article."